We are really fortunate to live by the coast and our pier is looking rather lovely (we adore candy-coloured beach huts!) basking in the sunshine. We have had some glorious feedback and comments about our our TreatBoxes which is so awesome, we love to see all of your great pics! Keep them coming! 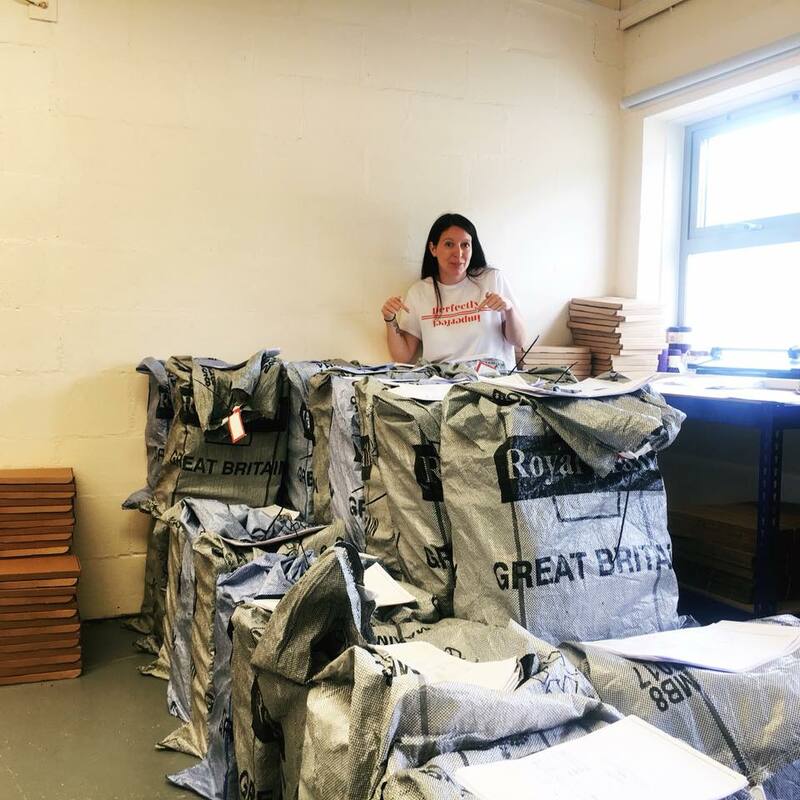 We've also had a few requests for some behind-the-scenes action so we thought that we'd give you a little insight, glimpse, snippet into our busy, tea-swilling, laughter-filled days at TreatBox HQ! Every day is a busy day and if we're not packing-up our monthly TreatBoxes, we're making, drawing, creating, crafting, brain-storming (did I mention that we drink tea? )......So, here's a little lowdown of what a typical day holds for us here at TreatBox HQ. Tea. But first, tea. Always. Every Day. We love a cuppa and our little morning ritual is to switch-on the kettle, get things brewing (in both the pot and our brains!) and talk over the plan for the day. If there's cake, we will indulge - it's always time for cake. Tea & Cake, the perfect combo any time of day! Oh, and we pop-on the radio too, we love a bit of background tunage to hum along to. The first task is to print the orders and hand-write all of the personalised cards. This is one of our favourite things to do and we love creating these wonderful messages for the people you love. Making the 'Build Your Own' boxes is another treat, we love to see how you curate your own and as we have over 200 products to choose from, the world really is you lobster! Each one is totally unique and now that we have re-branded our BEAUT-iful bracelet range, they look so vibrant and delicious. Our jolly postman visits around midday to collect all of the parcels and we wonder where the morning has gone! Time flies and all that! Every day is different and if we are in the midst of getting ideas together for upcoming TreatBoxes, we pop the kettle on again and start brainstorming! We are a creative bunch and we love sourcing new and exciting products - if we love them, we're certain that you will too. Being creative cats, it felt only right to expand the TreatBox range of notebooks. They've gone down a storm and we can't wait to see your pics! When it's time to pack-up all the lovely monthly TreatBoxes, it really is a family affair. Zoe's children and mum love to lend a helping hand and it's all hands on deck to make sure that they all go out to you all promptly. 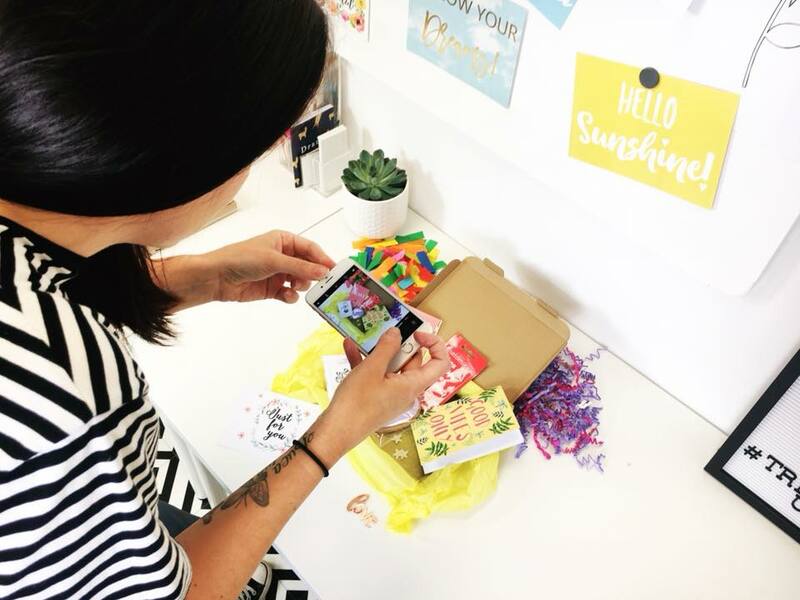 It's a bit hectic on delivery day, we are literally surrounded by TreatBoxes and we often pop a story on Instagram so keep an eye out for all the exciting action! In other news! We have decorated our office and it's looking gorgeous! We're in absolute succulent and monochrome heaven! It's such a glorious space to work in here's a little sneak peek of our decorating skills. Our packing room is our pride and joy - it's where all the magic happens and we are so delighted to have all our amazing products lined-up and raring to go! With every single Build Your Own TreatBox being completely unique, there is quite literally never a dull moment! Our ever-growing range of treats is vast and caters for all sentiments and celebrations! Also, we are very excited to announce that after our successful Crowdfunding campaign, we are expanding the TreatBox Team! Yayyyyyyy!!! Aaaaand, we have our new website almost ready to go live! Here's a sneak peek, we are sooo excited about this! The day really does pass-by so quickly. How is it June already? Every day is varied, exciting and lots of fun! Being surrounded by our printed quotes is very inspiring and your emails, feedback and support is just the best! You guys rock and our passion for what we do is driven by you. We love you all. There are lost of exciting things on the horizon for TreatBox and we are dedicated to our wonderful customers and continue to create special boxes of treats for you to enjoy (or to give to a loved one). Hope you like the behind-the-scenes-pics, now time for a cuppa! !